Brexodous Brexoditis Deprexit - Which one are you? We have noted 3 categories of clients starting to emerge in the days post Brexit. It is true to say that many people are still in a state of shock, and some actually feel like they have lost someone close to them. However, life goes on, and what will be will be. We need to adapt and change. The quicker that we deal with this, the more “normal” our lives become once again. These are manly UK based clients who were already considering a move to France. The Leave vote came as a surprise to many, but what has also emerged is a degree of racial undertones that makes these people feel at unease with the UK. They see the UK economy suffering, perhaps a recession, but above all this vote to leave has triggered their personal desire to make the move to France happen. The sooner the better in most cases. Many have brought forward plans for a 5 year ‘escape’ to a 12 month project. These clients are those who are “sitting on the fence” to wait to see what happens. They are uncertain, (as we all are), about the future. Aspects such as Visas, healthcare and rights to work are holding them back from making a decision one way or another. To them, our message is be brave, if you want to own property in France, what realistically will actually change? The process will remain the same, the tax situation will remain the same. The only complications could be the possible need for Visas or Work Permits, but these were in existence before the EU, and UK citizens lived in Europe before. It just means that there will be an extra layer of bureaucracy to deal with, (and France are the World Champions there). Some clients have taken the news really badly. A few commentators actually see them as emotionally depressed by the Leave vote. 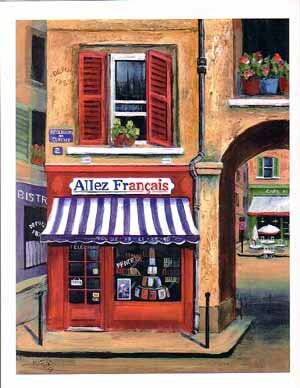 It has ended their French dream – one client told me that they wanted to be “European”, but did not feel that they could do that after the UK decision to leave. They felt ashamed. For many the decision has thrown up too many negatives, and that plus the weakened £ has been a crushing blow for them. They speak in terms of “rupture” and “fragmentation”, quite strong terms, but these are early days and nobody know when or even if, Article 50 will be triggered, which really is the start of Brexit. We work closely with our clients, trying first of all to understand their hopes and aspirations, before then helping them achieve their goals. After a conversation last week with a 60ish year old, they thanked me for the time that I had spent going through their fears, which were largely over stated, and they had decided that life was too short to sit around waiting. They were going to control what they could and leave the rest to the politicians. Their decision was to move to France and take what comes with it. 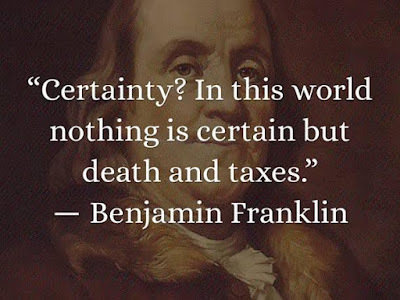 At the end of the day, there are no guarantees in life apart from death and taxes, (Benjamin Franklin). 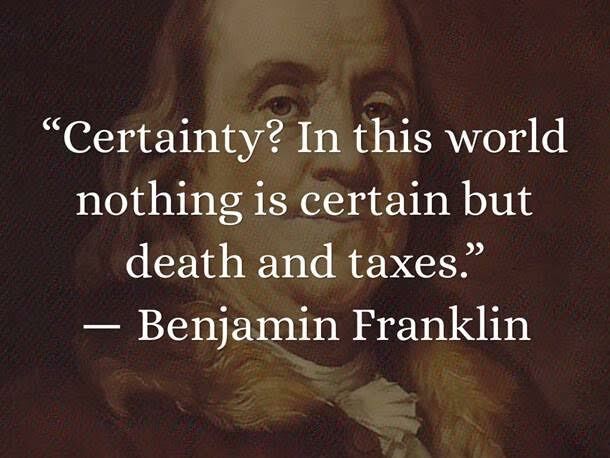 This saying comes from the letters of Benjamin Franklin where he states: Our new Constitution is now established, and has an appearance that promises permanency; but in this world nothing can be said to be certain, except death and taxes. —Benjamin Franklin, in a letter to Jean-Baptiste Leroy, 1789. 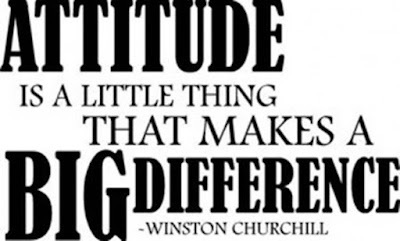 Rather appropriate today! 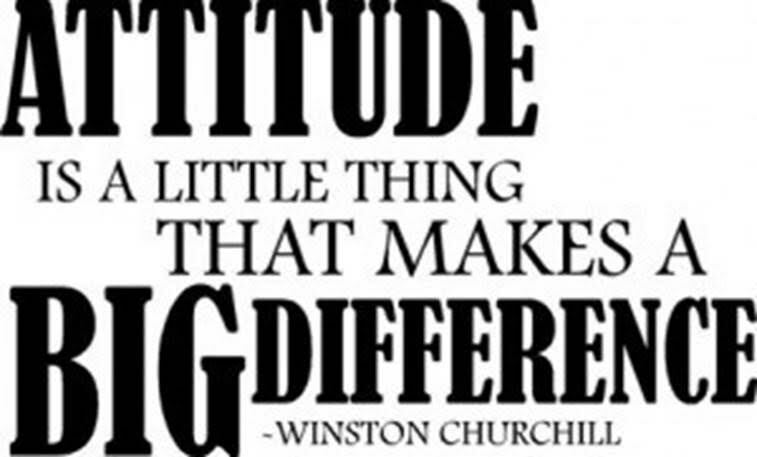 On the subject of great men and quotations, here is one from Winston Churchill, “Attitude is a little thing that makes a big difference”. Can I ask you is your glass half full or half empty? Learn French online - 1 month of free lessons!